The difference between a successful person and a person who is considered a failure is extremely small. In fact, it is so small that it often canâ€™t be determined. Same education, same opportunity, same knowledge, same financial means - and yet one person fails and the other succeeds. If you look at two pots of water on a hot stove and one suddenly begins boiling - what is the difference? Your answer may be simply that one is boiling and the other is not. But what is the DIFFERENCE? The difference is 1 degree, the difference between 211 degrees F and 212 degrees F. Only 1 degree. And yet, that one simple, small degree makes a huge difference. The difference between success and failure is so small that you could liken it to the simple flicking of a light switch. The wiring, electricity and bulb are all there. But it takes the act of flicking the switch from â€˜Offâ€™ to â€˜Onâ€™ for the room to go from total darkness to bathed in light. 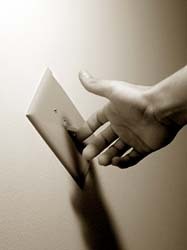 Dr. Buttar has figured out the technique to â€œflick the switchâ€� and he is going to share this incredible gift with you. It is a gift more priceless than any other for it will show you what you need to do to get anything and everything you want out of life. The specific steps to flick the switch â€˜Onâ€™ are provided in such a practical manner that it is almost as easy as following a recipe. These steps all revolve around how to eliminate the emotional/psychological and spiritual toxicities; two of the 7 toxicities that Dr. Buttar believes is the cause of all chronic disease. If you eliminate all 7 of these toxicities, you will completely eradicate all chronic disease. It may be hard to believe, but these steps have been proven. The purest forms of science and quantum physics have been used to establish the validity of Dr. Buttarâ€™s theories. He has not only postulated much of this information but applied it in many cases to chronic disease - often terminal conditions. He has used these principals himself by testing and refining each step, achieving extraordinary success in practically every facet of his life. This presentation will be unlike any you have ever previously encountered. You may have heard some of the basic information, but no one will have heard it put together in this manner. Why? Because when it hit Dr. Buttar, it was an enormous shock with light bulbs going off everywhere. He realized he had already been inadvertently following many of the same principals, which were allowing him to achieve the success he had. It was as if he knew where home was but not how to get there, and only found it by coincidence. Now, just imagine what can happen when one actually understands what to do. It is amazingly powerful. This information will be based on hard scientific principals, many of which will be substantiated using the work of Nobel Prize Laureates. All the information is utilizable and practical, and specific steps will be defined for you to follow. Using these steps, you will be able to start achieving anything your heart and mind could ever desire. The information is not theoretical or impractical. What will be presented will be applicable and relevant and will change your life into whatever you desire, IF you follow the steps precisely. Additional exercises will also be included to help you further develop and refine your ability to master your own destiny. JOIN US! Dr. Buttarâ€™s 4-1-3-4 Punch Sequenceâ„¢ which will change your life within the first week, if you implement these steps in this sequence. AND many other things too numerous to mention...!